Philip Seymour Hoffman’s last film, ‘A Most Wanted Man,’ caps this week’s picks, but we have 8 other appealing choices for adults and kids alike. This week’s offerings include rare “adult” movies—no, not that kind; I’m talking about movies that were made with grown-ups in mind that don’t require viewers to check their brains at the door or lower their expectations. By the same token, we have two G-rated movies streaming for kids of all ages. Studios don’t like to make many G-rated movies because there’s a perception that they’re for “babies” and don’t appeal to older kids. But when they do show up—the best ones are gentle and likable—parents and kids alike very much appreciate them. My other two recommendations fit in between those extremes: These are movies that are mature in content, but immature in other ways. In other words, they’re just good fun. It’s always a gargantuan task to adapt a John Le Carré novel to the screen, but sometimes the effort is worth it. Directed by former music-video maker Anton Corbijn, A Most Wanted Man (2014) is an exceedingly well-balanced movie, intelligent, with a richness of character as well as suspense. 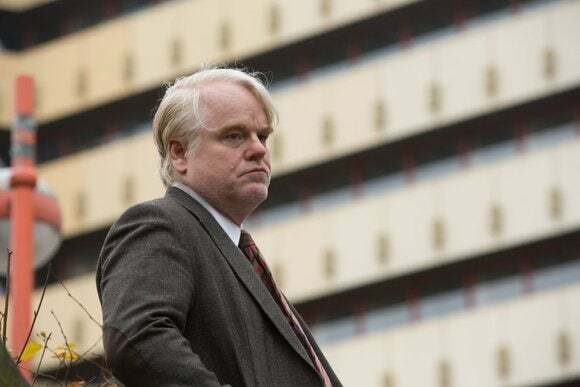 It features one of Philip Seymour Hoffman’s final performances, and one of his best (we lost a great actor at the top of his game). He plays a burned-out German intelligence agent, Gunther Bachmann, who is stationed in Hamburg, where the 9/11 attacks were planned. A human rights attorney (Rachel McAdams) hopes to help a young immigrant (Grigoriy Dobrygin) to procure an inheritance, but Bachmann sees a way to use him as bait to catch a bigger fish. Willem Dafoe co-stars as a banker who is crucial to the scheme. Corbijn uses the gloomy cityscape to create a potent mood. Andrew Bovell wrote the brilliant screenplay, full of quietly loaded conversations. But it’s Hoffman, with a German accent, that carries the film, shambling, lost, and yet with a flicker of burning hope. Michael Johnson’s All the Wilderness (2015) manages to avoid all the familiar elements of the “coming-of-age” genre, using a kind of wandering, searching quality to tell the story of its protagonist, a young man who can’t quite find his place. The wonderful Kodi Smit-McPhee stars as James, who has a tough time dealing with his father’s death. He has become obsessed with sketching dead animals, and his visits to a shrink (Danny DeVito) and concern from his mom (Virginia Madsen) don’t seem to help. James meets an orphan pianist, Harmon (Evan Ross) and one of his doctor’s other patients, Val (Isabelle Fuhrman), and enters a new world of abandoned buildings and skateboard parties, where it’s not so easy to keep his feelings inside. At only 77 minutes, the movie is like a great short story, an impression of a moment, rather than a tightly-constructed narrative. The performances are uniformly great, especially Madsen, whose sympathetic “mother” role could have been a lot less than it is. Just as it’s not easy to adapt a huge novel to a movie, it’s equally challenging to adapt a short, illustrated children’s classic to a feature-length film. 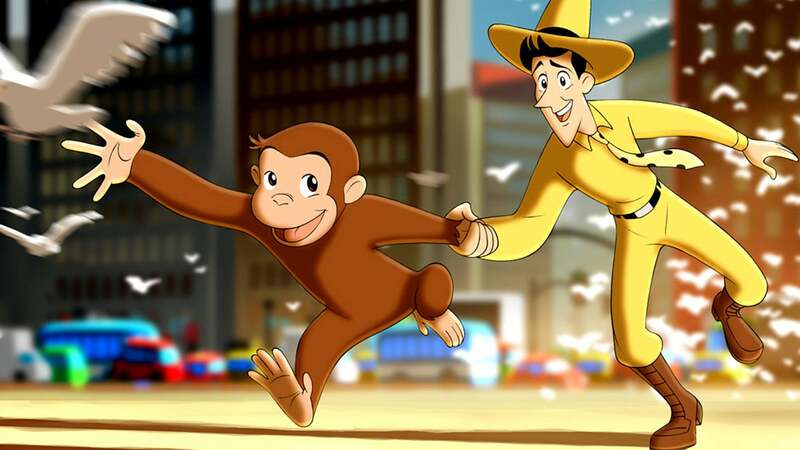 Unimaginative filmmakers pad the stories with vulgar jokes and pop-culture references, but the makers of the G-rated Curious George (2006) instead opted for a sweet, gentle tone, with a dash of Jack Johnson’s laid-back, mellow pop tunes. Will Ferrell provides the voice of the Man in the Yellow Hat (known here as “Ted”), who tries to save his museum from being turned into a parking lot. He goes to Africa to find a rare idol, but instead comes back with a stowaway: George (voiced by Frank Welker). George causes all kinds of mischief, of course, but nothing too terrible, and he eventually finds ways of helping. He even matches Ted with a pretty schoolteacher (voiced by Drew Barrymore), who loves dragging her class to Ted’s boring museum lectures. 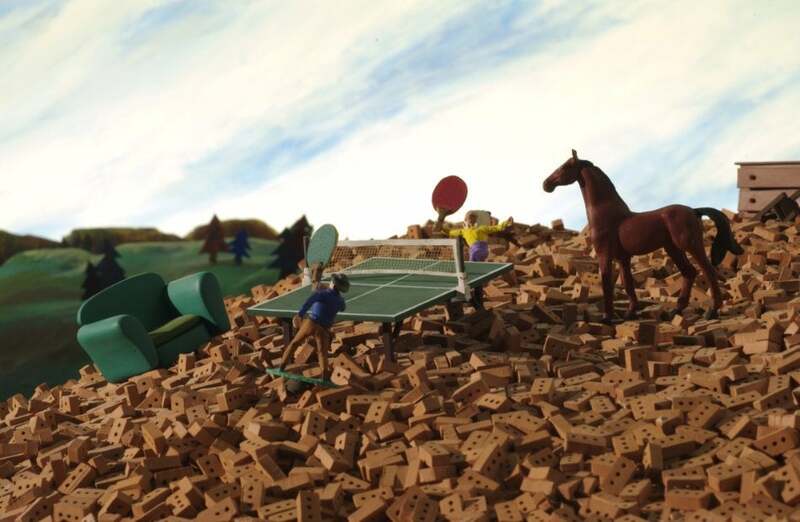 Matthew O’Callaghan uses a charming combination of hand-drawn animation and 3D computer backdrops, and the result is as gentle as a bedtime story should be. The voice cast is excellent, but Welker especially deserves praise for his work as George; known for Scooby-Doo and Transformers, as well as hundreds of other credits, he’s an unsung master of voice acting. 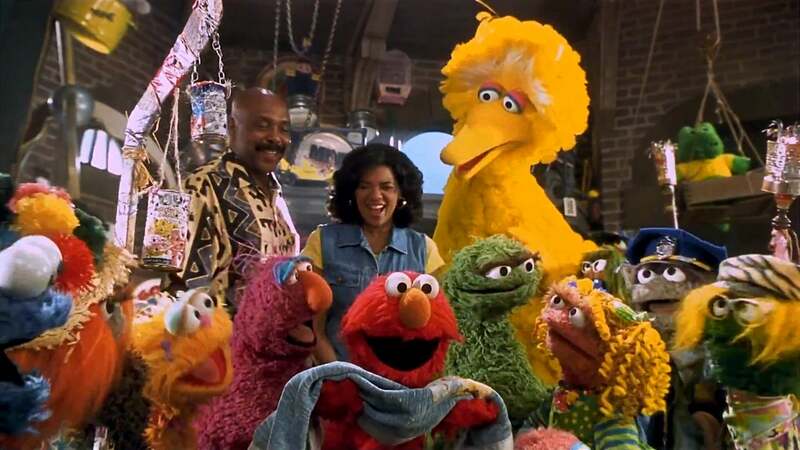 A safe bet for very young movie buffs, and not too bad for parents either, The Adventures of Elmo in Grouchland (1999) is a delightful, funny “Sesame Street” movie that never goes too far (it’s far less edgy than the Muppet movies) and finishes up at only 73 minutes. It’s hard not to love the adorable Elmo (voiced and performed by Kevin Clash) with his huge heart and innocent ways. He loves nothing more than his favorite blanket, and he’s understandably upset when Oscar the Grouch (voiced and performed by Caroll Spinney) sneezes into it and throws it away. So he journeys to “Grouchland” to get it back. There, he meets the greedy Huxley (Mandy Patinkin) and the Queen of Trash (Vanessa Williams). Many other beloved Muppets turn up, including Bert (voiced and performed by Frank Oz) and Ernie (voiced and performed by Steve Whitmire), who narrate the movie from the sidelines, plus Big Bird, Cookie Monster, Grover, Zoe, and the Count. Gary Halvorson directs. Alex Ross Perry’s portrait of a self-obsessed, but talented writer, Listen Up Philip (2014) asks viewers to latch onto a thoroughly miserable, despicable character and see him through to the end. Some will resist, but more adventurous viewers will find it thrillingly nasty and acidly funny. 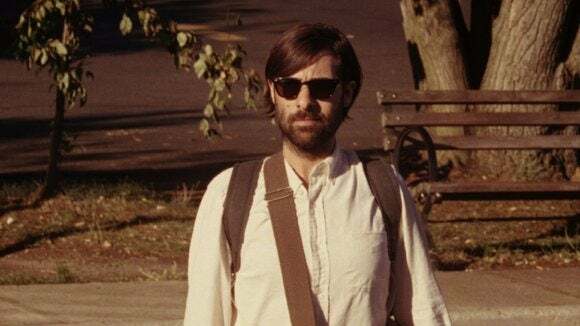 Jason Schwartzman plays Philip Friedman, who, on the verge of publishing his second novel and finding his relationship with his girlfriend Ashley (Elisabeth Moss) growing stale, decides to spend a summer at the home of his idol, Ike Zimmerman (Jonathan Pryce). There he meets the alluring Melanie (Krysten Ritter), Zimmerman’s damaged daughter. Perry weaves a very dense screenplay, focused, by turns, on different characters, filled with thinking, self-examination, pain, and longing, with no easy answers. His camera burrows into the story, getting fearlessly close to these dark souls. The author characters are definitely meant to evoke Philip Roth, and the movie even borrows its title font from the famous cover of Roth’s Portnoy’s Complaint. 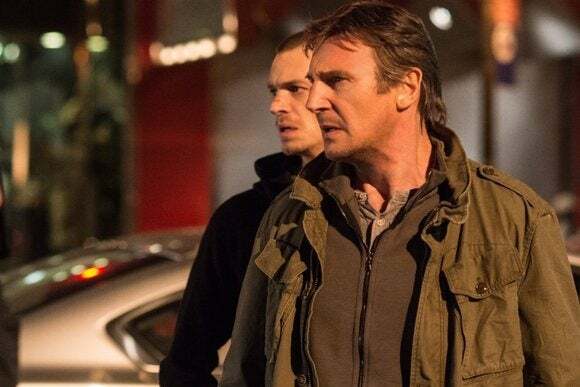 Modern-day action star Liam Neeson stars as another one of his appealingly weathered veterans of violence, trying to avoid trouble but unavoidably sucked back in. He plays an aging hitman, Jimmy Conlon, whose grown son Mike (Joel Kinnaman) wants nothing to do with him. Jimmy’s pal, gangster Shawn Maguire (Ed Harris), also has a son, live-wire drug user/pusher Danny (Boyd Holbrook). When Mike accidentally shoots and kills Danny, Shawn vows revenge on both the son and his father. Jimmy must use all his skills to keep himself and Mike alive. Director Jaume Collet-Serra, who made two other Liam Neeson movies (Unknown and Non-Stop), doesn’t totally marry his clumsily edited action scenes to the drama, and they can seem obligatory, but he does seem to have an affection for the characters and the way they interact in the little world of their New York neighborhood. Thus, the movie, oddly, becomes more interesting in its slower moments. Genesis Rodriguez, Vincent D’Onofrio, and Common co-star. 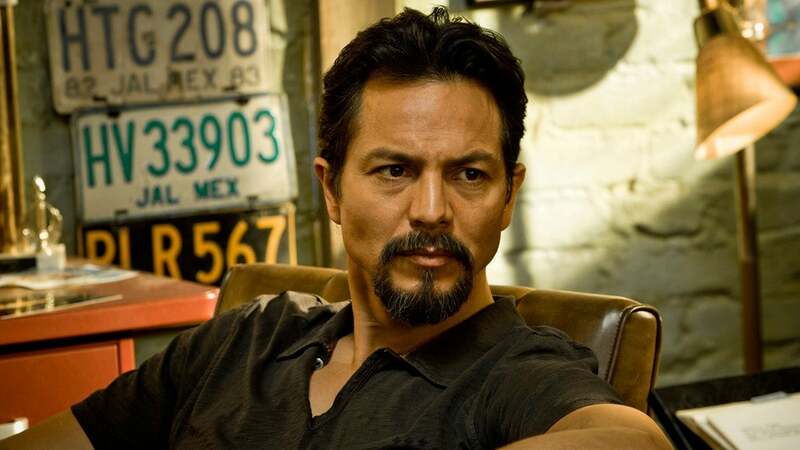 La Mission (2009) was clearly a labor of love for actor Benjamin Bratt (Miss Congeniality, Traffic, etc.) and his older brother Peter. Both brothers produced, Peter wrote and directed, and Benjamin stars as Che Rivera, a bus driver who has lived in San Francisco’s Mission District his entire life and loves to restore cars. He’s a widower with a grown son, the bookish Jesse (Jeremy Ray Valdez). Jesse is gay, and has a white lover (Max Rosenak), but is terrified to tell his father. Meanwhile, Che meets his new neighbor, Lena (Erika Alexander), whom he views suspiciously as a slumming rich girl. The movie introduces several more characters and situations, but Peter Bratt is less concerned with plot than he is with presenting a portrait—a mural—of this neighborhood and its unique culture. At the center, Benjamin Bratt gives his most in-depth and nuanced performance since his work in Piñero (2001); he knows this guy so well that he can embody him all the way down to his soul. In some circles, the year 2009 was something of a landmark in animation, with at least a half-dozen great, inventive, and breakthrough features being released. A Town Called Panic (2009) was a little lower on the radar, and fairly strange, but still very much worth seeking out. The characters look like little toy figures with plastic flats stuck to their feet to help them stand up. Horse (voiced by Vincent Patar), Cowboy (voiced by Stéphane Aubier) and Indian (voiced by Bruce Ellison) all live in the same house, and Horse is clearly the one in charge. For Horse’s birthday, Cowboy and Indian decide to build a barbecue, but accidentally order too many bricks and destroy the house. This, somehow, sends them on an adventure under the sea and to the center of the earth. The movie has a surreal, frantic feel, recalling cartoons of the past (the Fleischer Brothers’ surreal Betty Boop as well as the Looney Tunes’ defiance of the laws of physics). The simple-looking animation is deceptively complex. The fast pace and the frantic delivery of the (subtitled) dialog can make this 77-minute movie sometimes overwhelming; but though it’s not always laugh-out-loud funny, it’s consistently imaginative and amusing. John Carpenter directed this check-your-brain-at-the-door popcorn-muncher, which came out in the summer of 2001. While he was a long way from his Halloween peak, Carpenter still delivered an undiluted “B” movie, complete with a terrific “B” movie cast. Ghosts of Mars (2001) takes place on a new human colony on Mars, which has quickly transformed into a red-light district of drugs, prostitution, and lost souls. 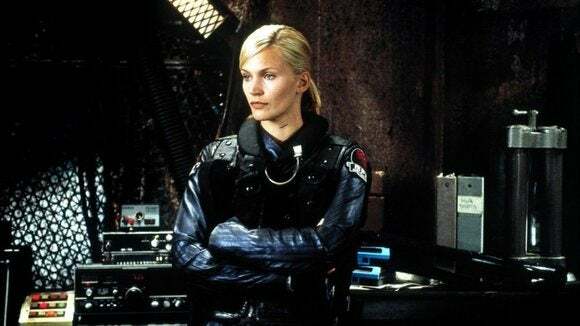 A team of space cops (Natasha Henstridge, Pam Grier, Jason Statham, and Clea Duvall) travel there to pick up a prisoner (Ice Cube), but find that the place has been taken over by evil spores that turn their human hosts into pierced, goth-style soldiers with painted faces and long hair. Killing any soldier sets loose the spores, which are then free to take over another host. So the cops must team up with their prisoner to survive; it’s a theme that Carpenter used before, in his classic Assault on Precinct 13 (1976), and borrowed from his favorite director, Howard Hawks. This movie may not be very bright, but you can’t say that Carpenter made an impersonal or lazy film. And, if viewers relax and let go, it’s a lot of fun. Joanna Cassidy, Robert Carradine, and Wanda De Jesus also appear.